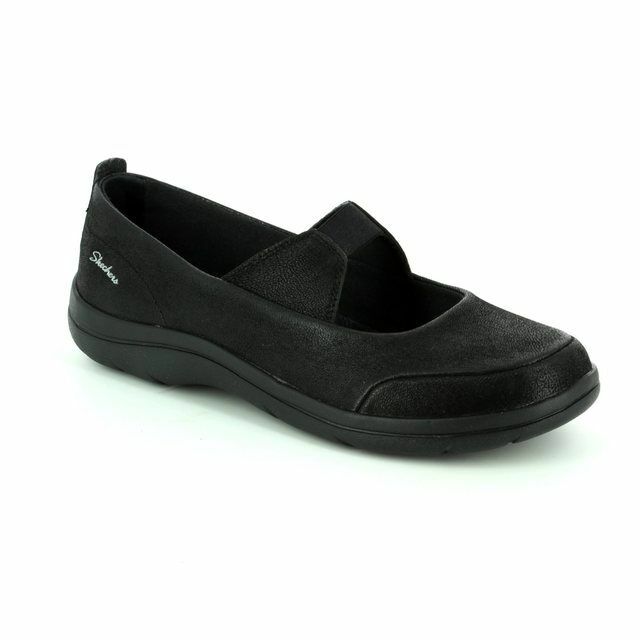 Skechers bring us 12363/144 SYNERGY 2. These ladies lacing trainers are the ideal addition to your sporty wardrobe. The black nubuck upper complements the classic trainer styling of these shoes. 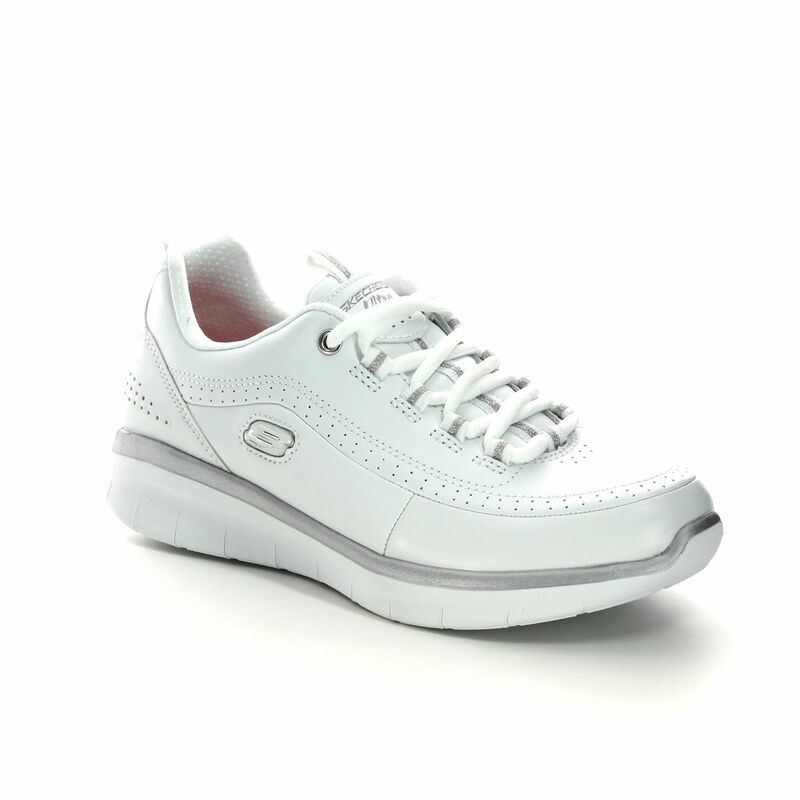 Skechers have used 'microperforated' side and heel panels for increase air flow. THe use of lace fastenings through glittering eyelets allows these ladies trainers to be secured to the feet and adds a touch of colour. 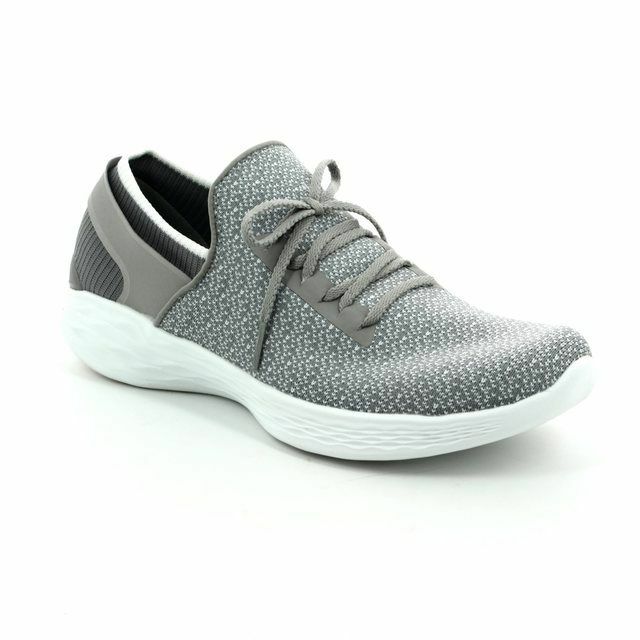 Skechers have included their 'Elite' memory foam to cushion underfoot, offering enhanced comfort alongside the padded collar and tongue. 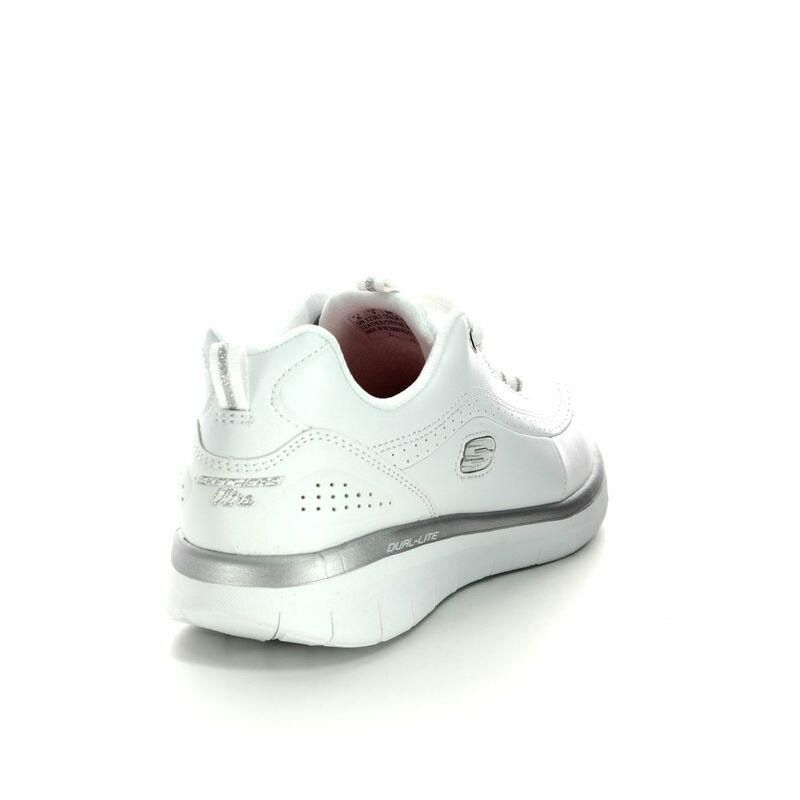 The addition of the 'Synergy' midsole increases shock absorbancy while the 'rubber traction' outsole makes these ladies trainers lightweight and flexible. 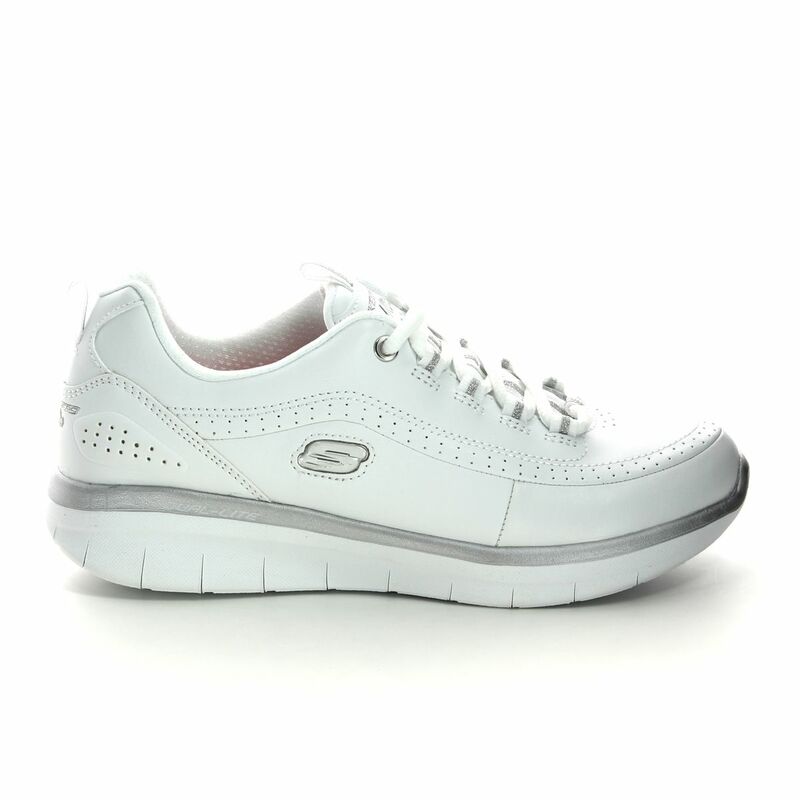 Buy your Skechers ladies trainers from Begg Shoes and Bags, an official Skechers stockist.